Delivery Breeding contract information will be forwarded to auction winners once payment has been made. 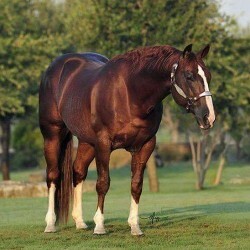 All services will be arranged between stallion breeding manager and mare owner. 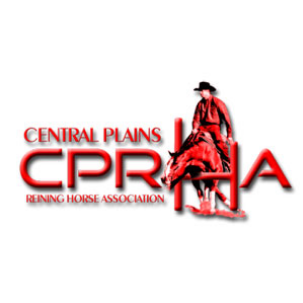 The winning bidder in the 2019 Central Plains Reining Horse Association (CPRHA) Sire and Services Auction has purchased from the CPRHA a stallion breeding donated by the stallion owner to be used by the bidder during the 2019 breeding season. The purchase applies only to the breeding fees, and does not include fees such as, but not restricted to, booking/chute fees, shipping costs (FED EX, Counter to Counter), mare care, transportation, re-breeds, veterinary bills, etc... 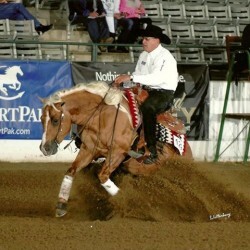 These fees are determined and collected by the individual stallion owners; the CPRHA has no responsibility for setting or collecting these fees. The mare owner may not sell or transfer this contract to another mare owner, without the express consent of the stallion owner. 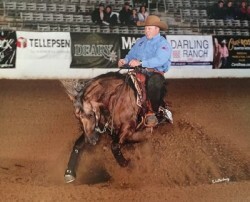 If the bidder's mare does not conceive during the 2019 breeding season or conceives but later aborts, it is the mare owner's responsibility to determine if a rebreed is acceptable during the succeeding breeding year. If the stallion allows a rebreed, the CPRHA will honor the breeding. The mare owner needs to notify CPRHA if their mare does not conceive during the 2019 season. Any foals by the sires offered on the auction whose services are PURHASED on this auction will be eligible for a purse at the 2019 CPRHA Futurity that is paid to the Sire Nominator. 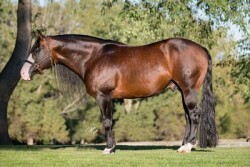 20% to the breeding proceeds of this auction will be paid to Sire Nominator. 80% will be retained by CPRHA. The foal from the resulting breeding purchased on this auction will be eligible to win a percentage of the Stallion Stakes purse in the 2023 CPRHA Futurity. In addition to the breeding contract, a CPRHA Stallion Stakes Eligibility Certificate will be enclosed. It is the sole responsibility of the mare owner to keep this certificate and present at the 2023 CPRHA Futurity to ensure foals enrollment into the Stallion Stakes division. 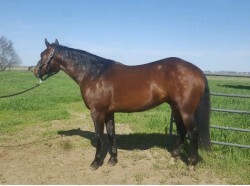 After payment for the breeding is received and processed, the CPRHA will send by mail a contract signed by the stallion owner acknowledging the contracted breeding. A copy of the contract will also be mailed to the stallion owner. 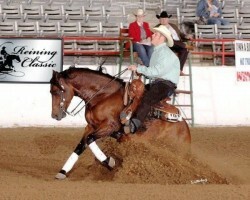 It is the bidder's responsibility to contact the owner in a timely manner to arrange the breeding. 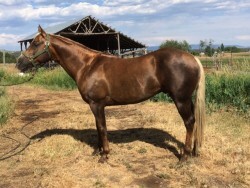 All Services purchased, applies only to the Service expressly bought and does not include fees such as, but not restricted to, board, farrier work, transportation, veterinary bills, additional expenses incurred, etc... These fees are determined and collected by the individual donating the service; the CPRHA has no responsibility for setting or collecting these fees. All proceeds from the sale of this auction will go to the CPRHA.